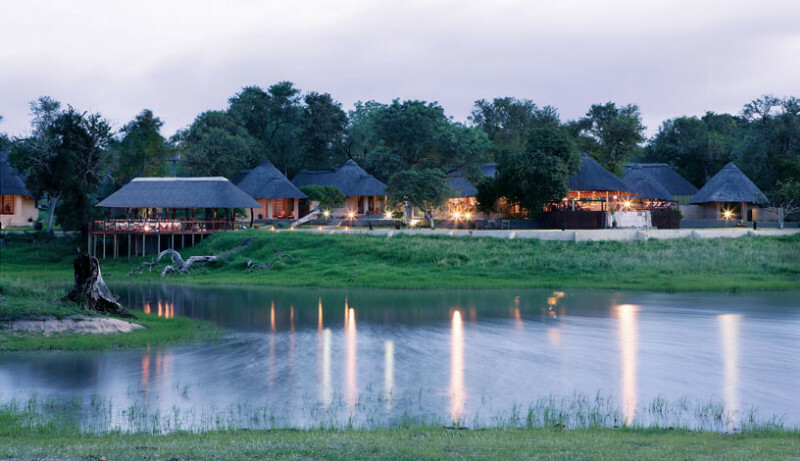 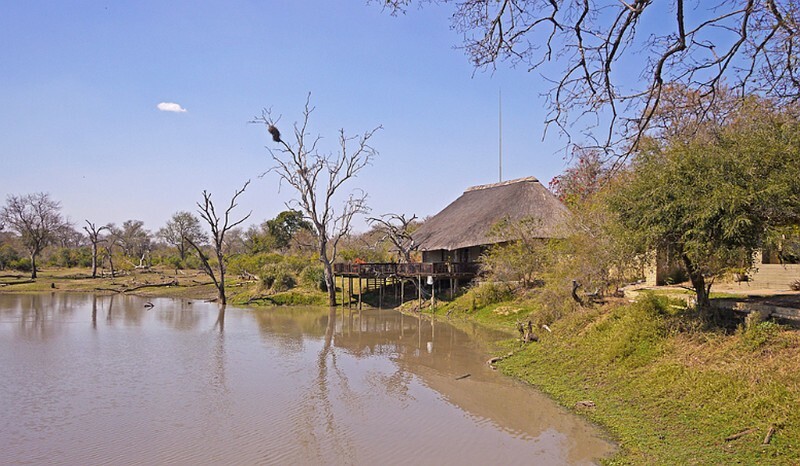 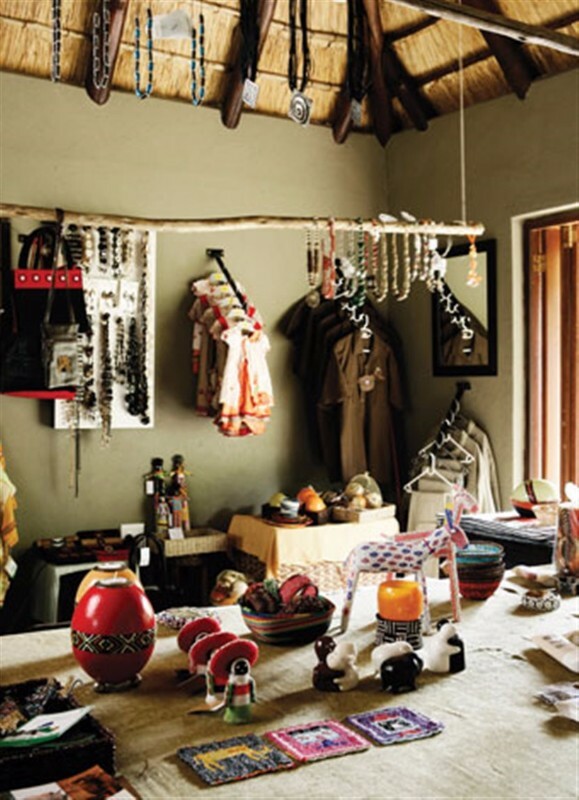 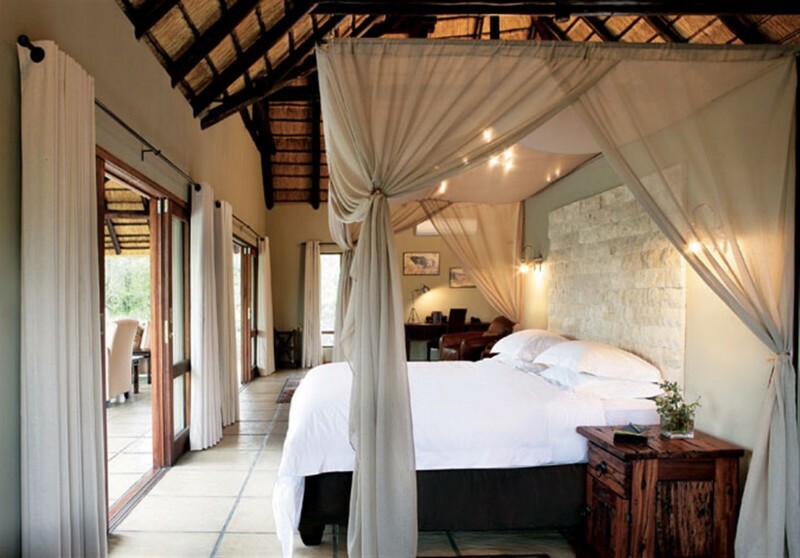 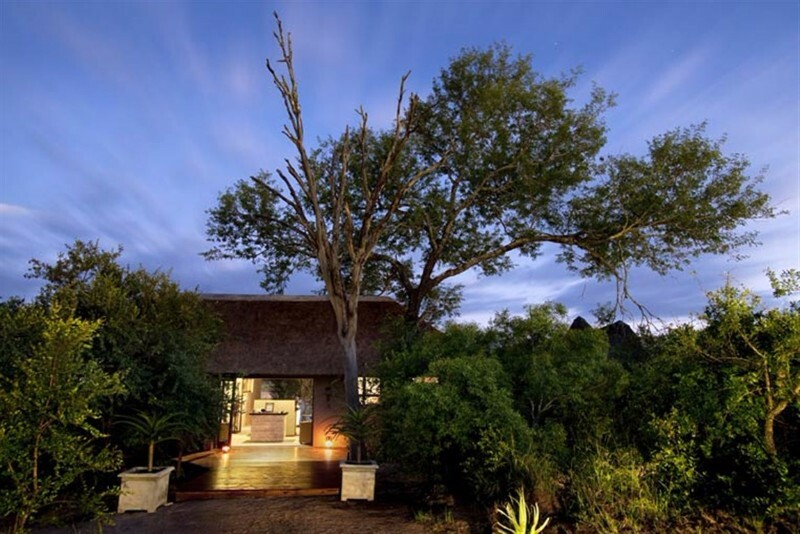 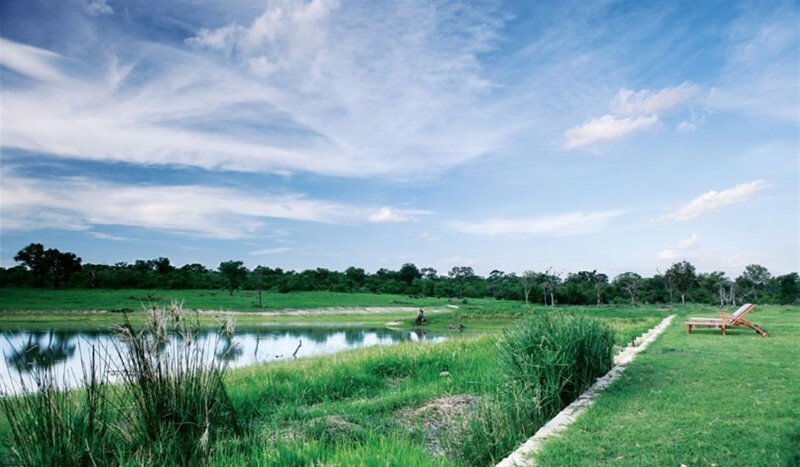 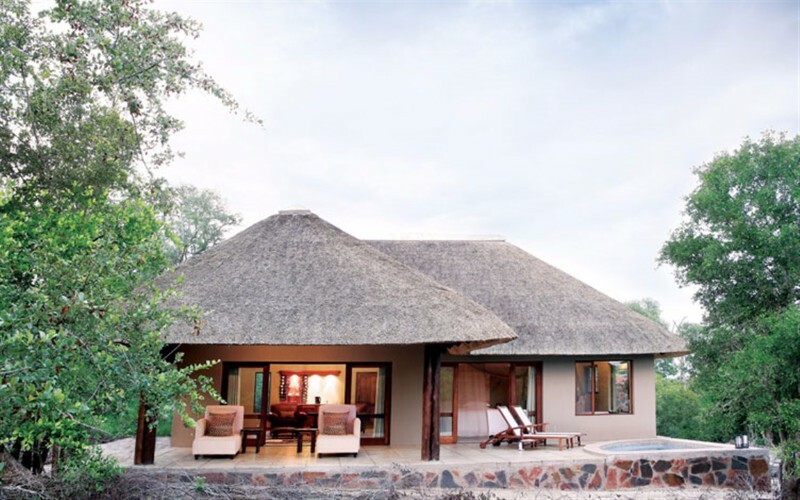 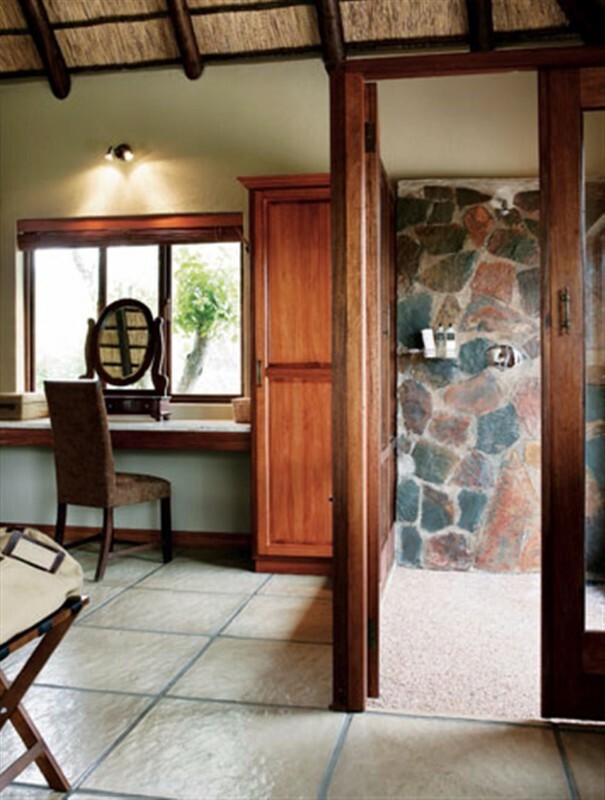 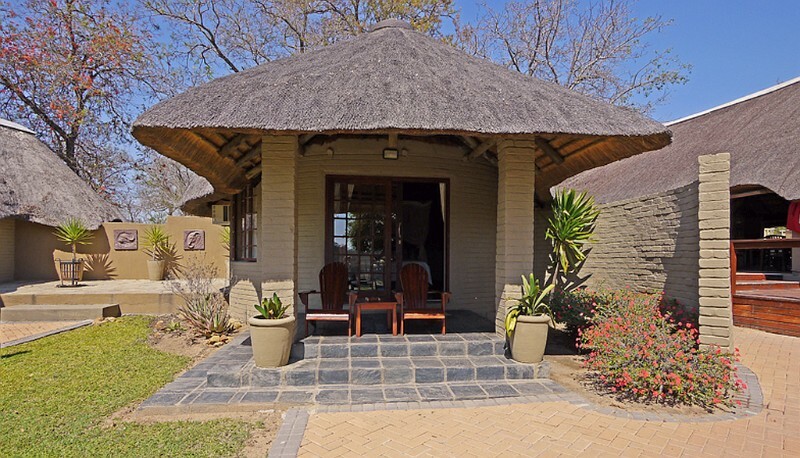 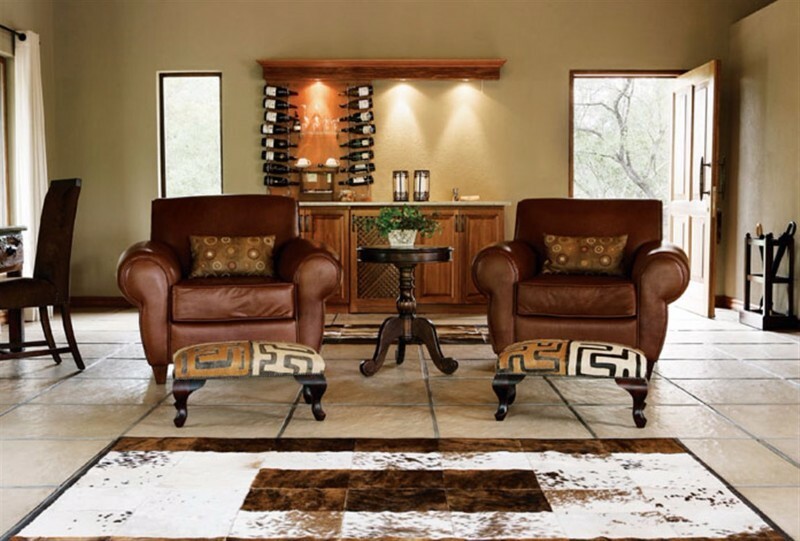 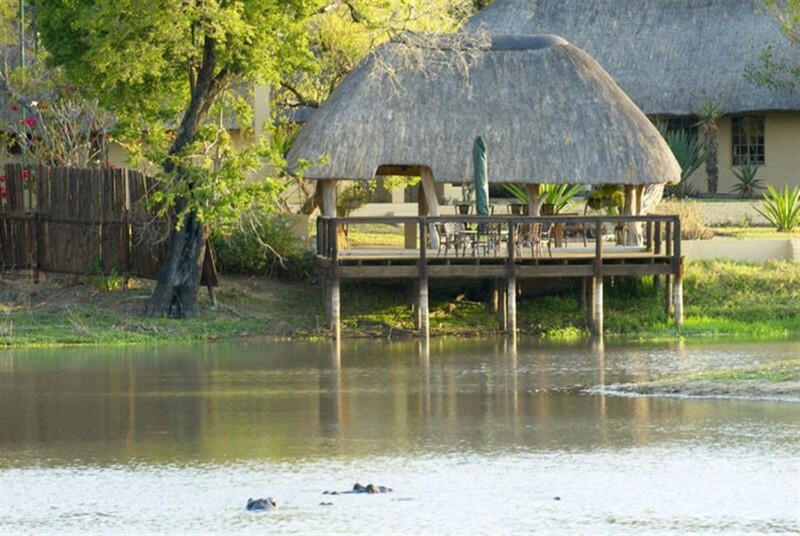 Arathusa Safari Lodge, located in Mpumalanga, is unique and highly sought after by visitors because of its prime location within the Sabi Sand Reserve, adjacent to the unfenced Kruger National Park. 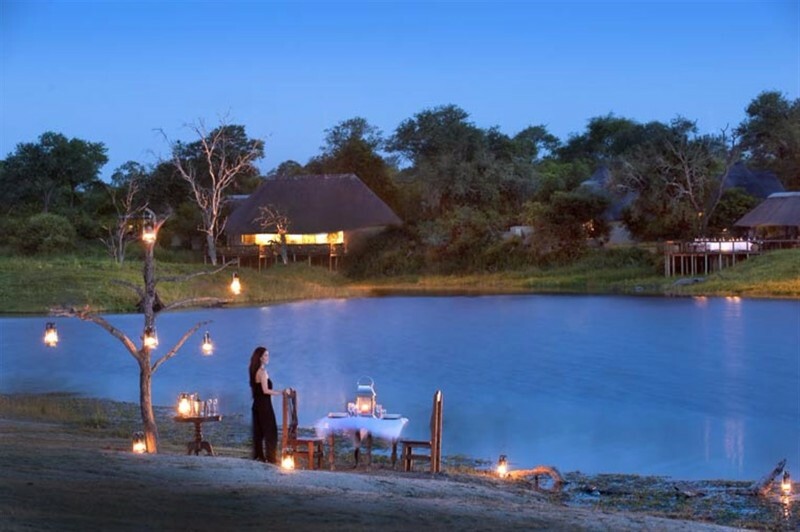 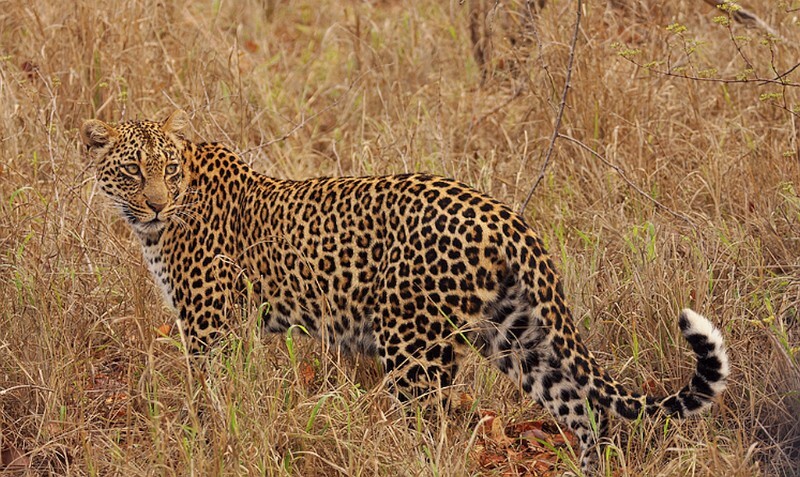 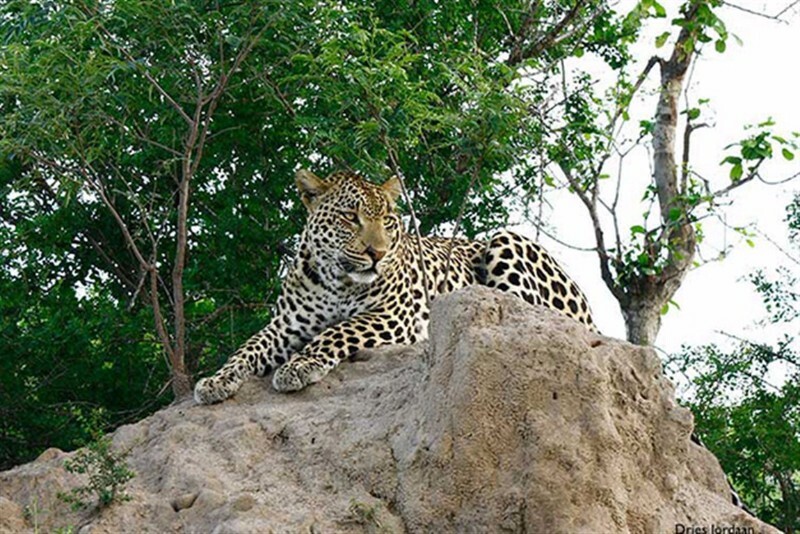 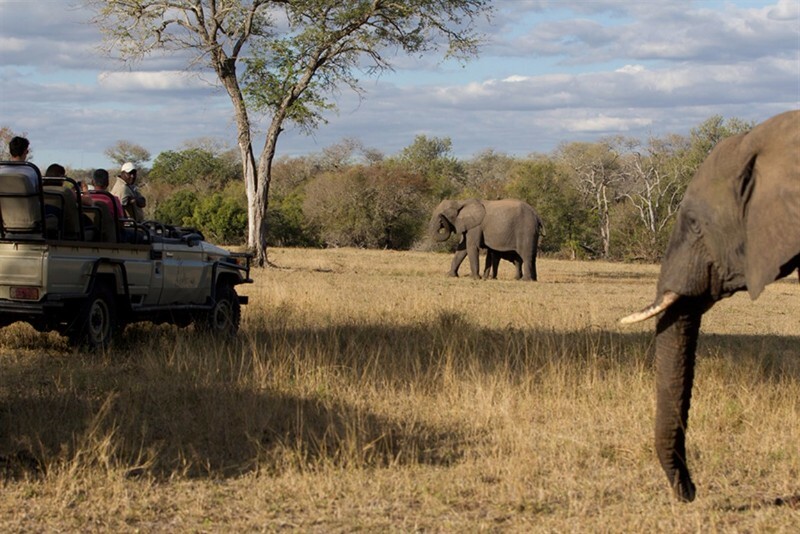 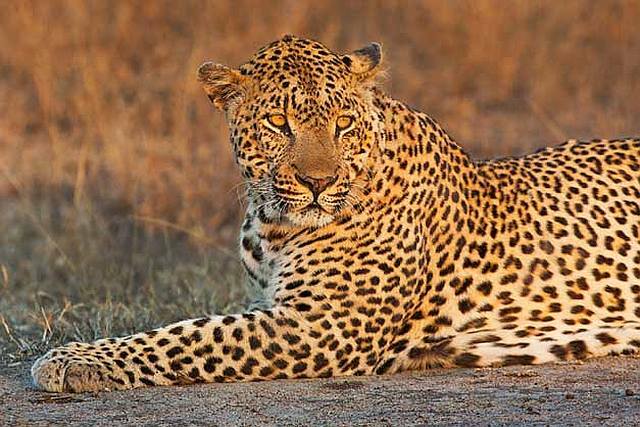 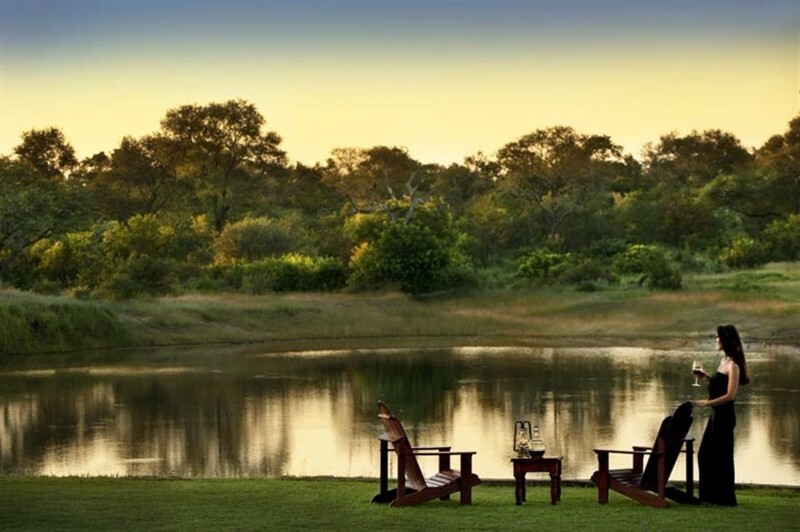 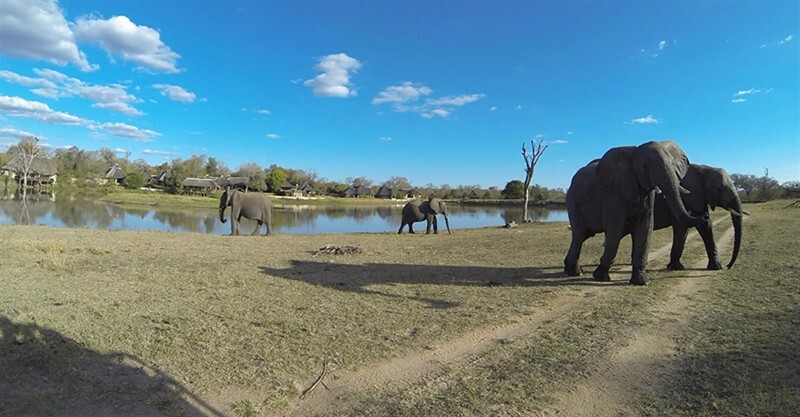 Together these two areas comprise one of South Africa’s most incredible and pristine preserved wilderness sanctuaries, known as the Greater Kruger Park. 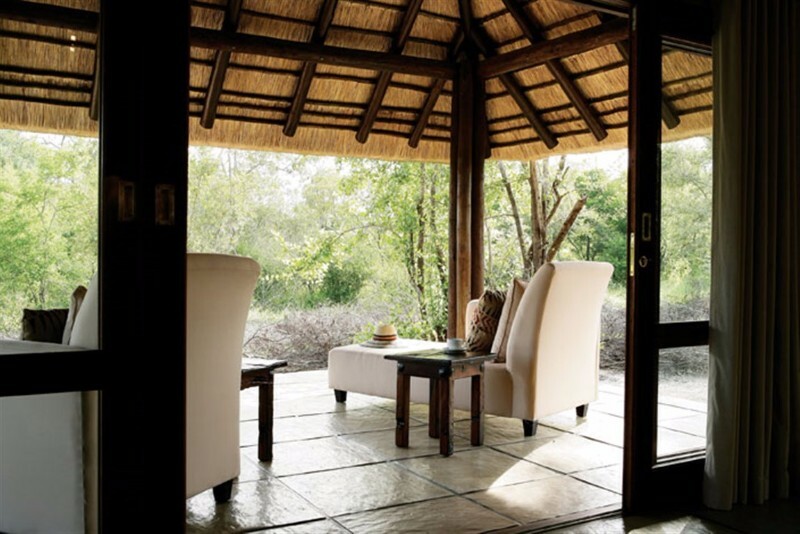 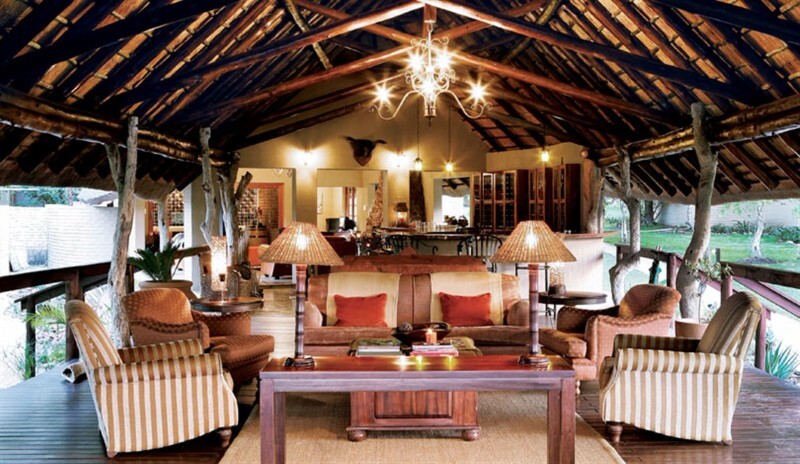 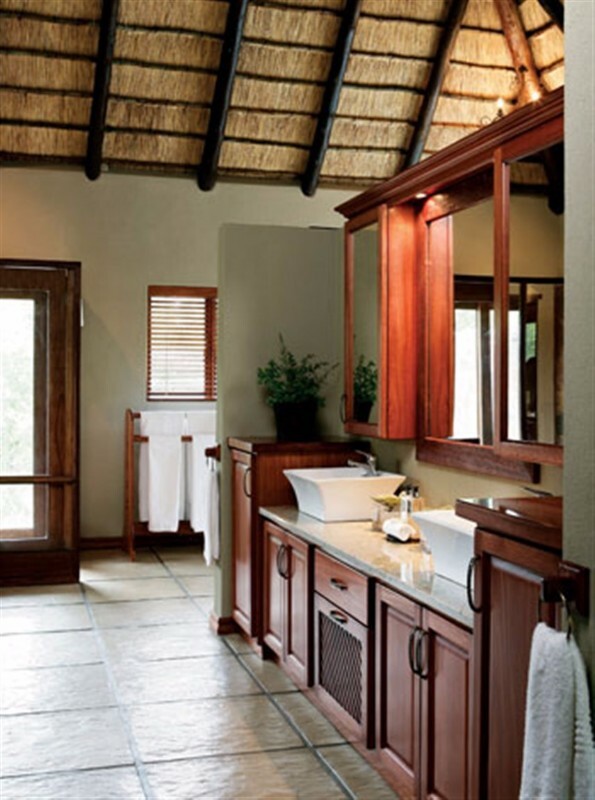 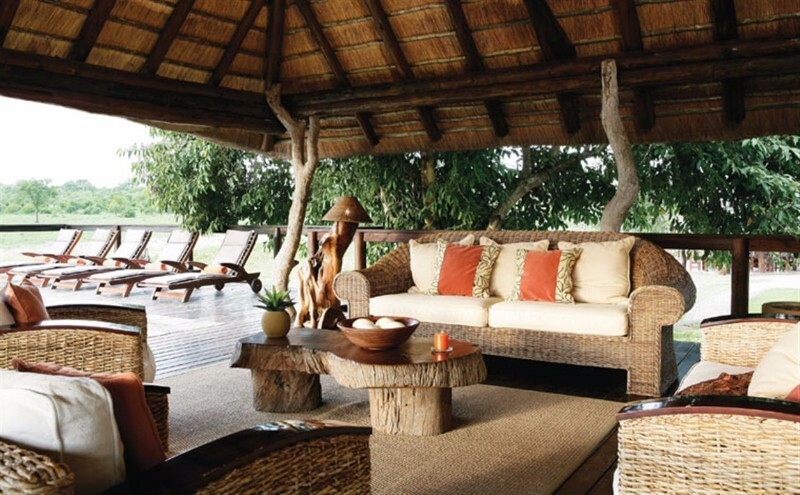 The lodge is an intimate one; its open-plan design and natural building materials allow it to blend harmoniously with the African bush surrounds. 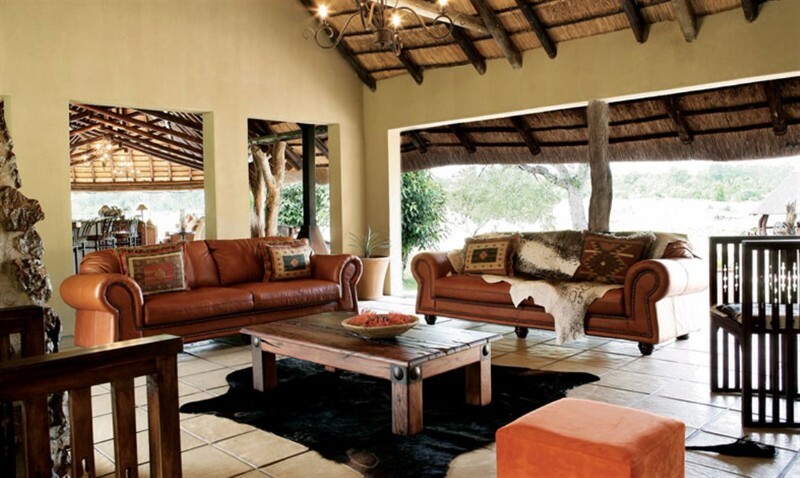 The main living area is intended for comfort. 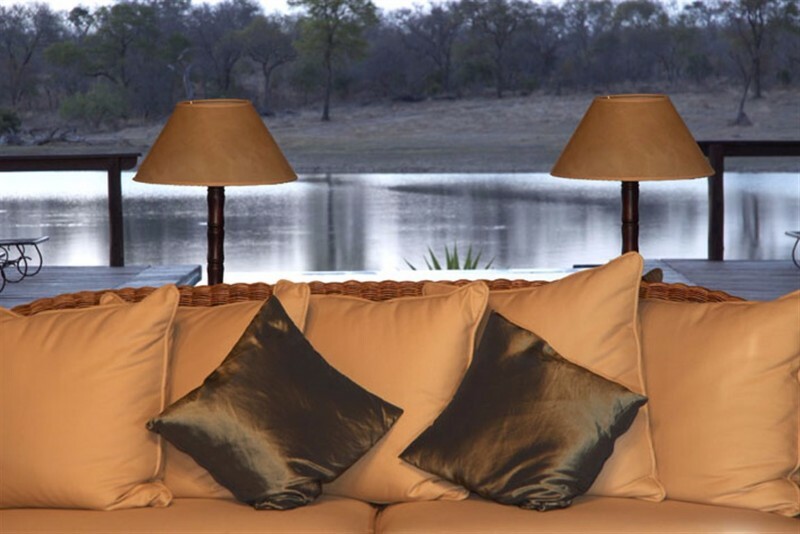 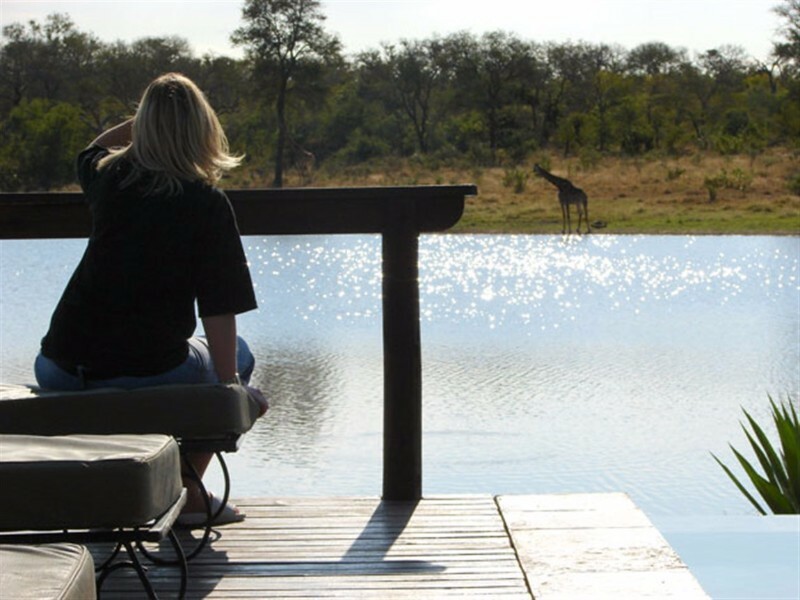 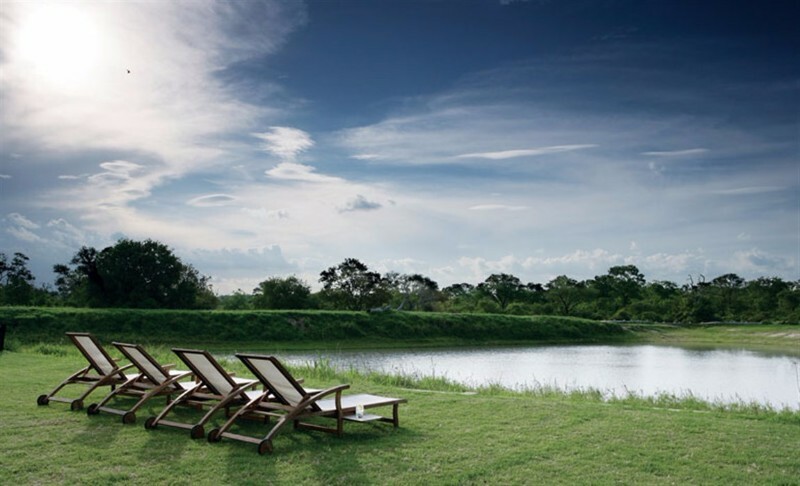 Whether quietly reflecting on the view, reading a good book, or enjoying conversation with friends or fellow safari goers, the warmth and charm of the lodge environment is the foundation of the Arathusa safari experience. 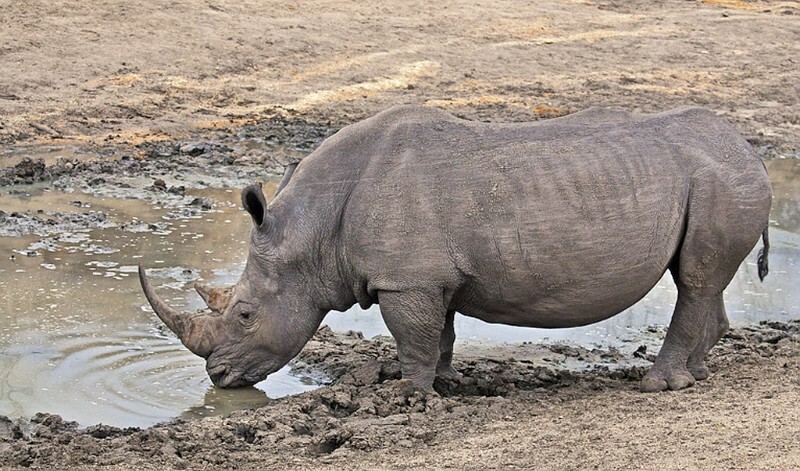 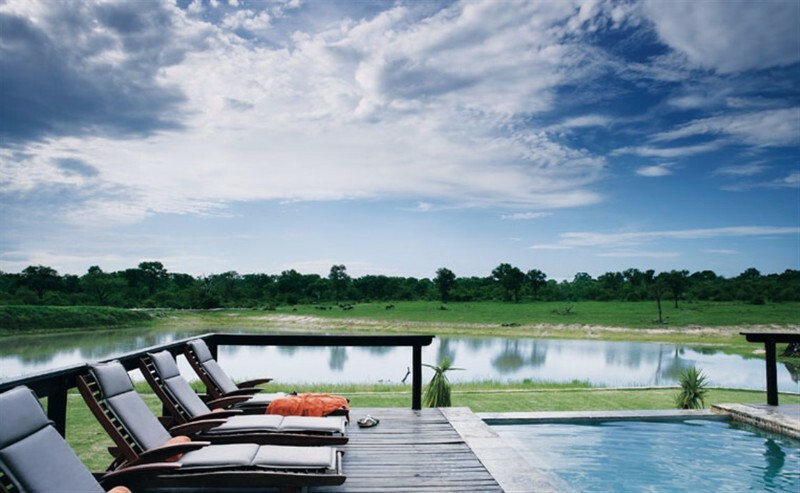 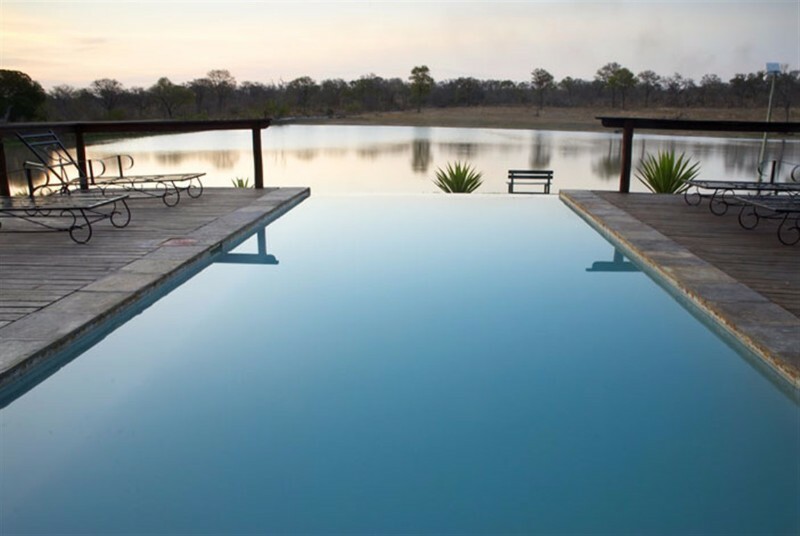 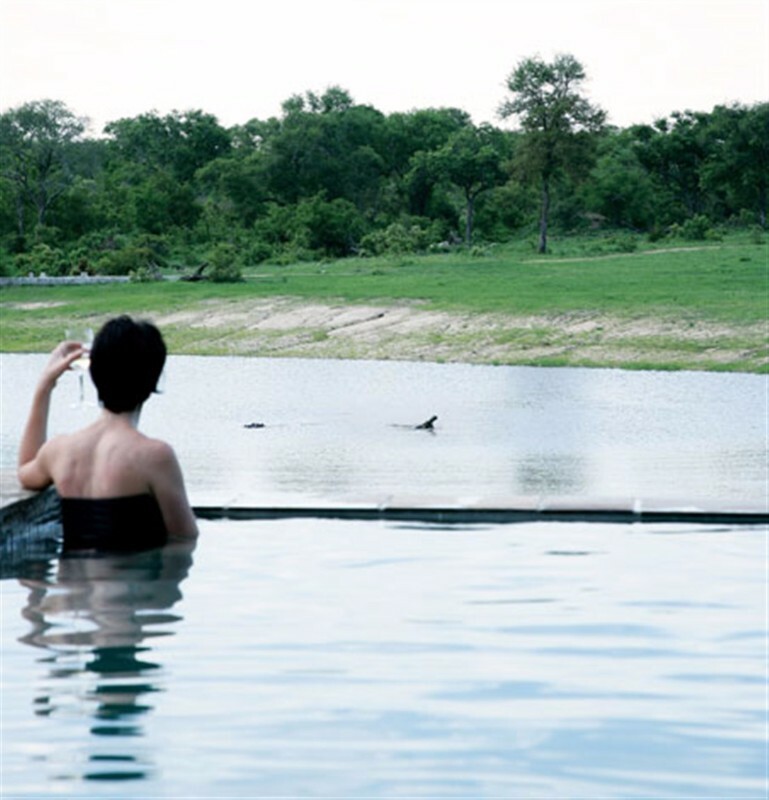 The infinity swimming pool overlooks the waterhole, and is the perfect spot for wildlife viewing while cooling off on a sweltering African summer’s afternoon. 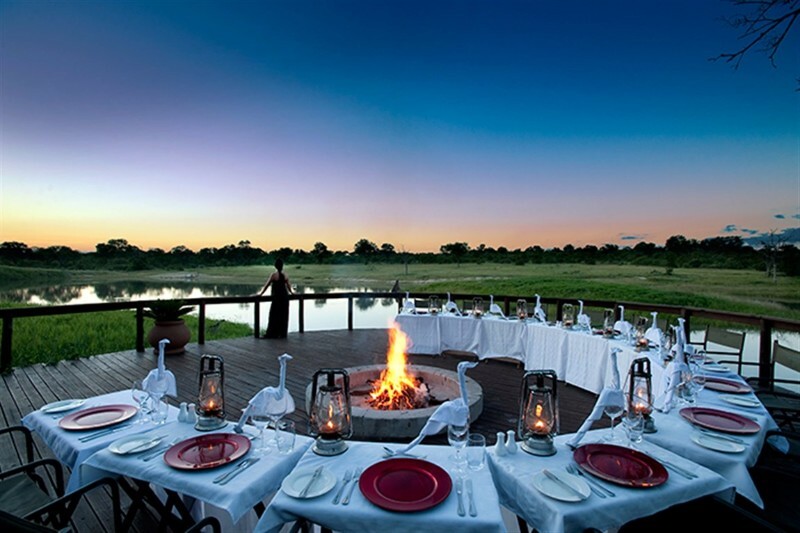 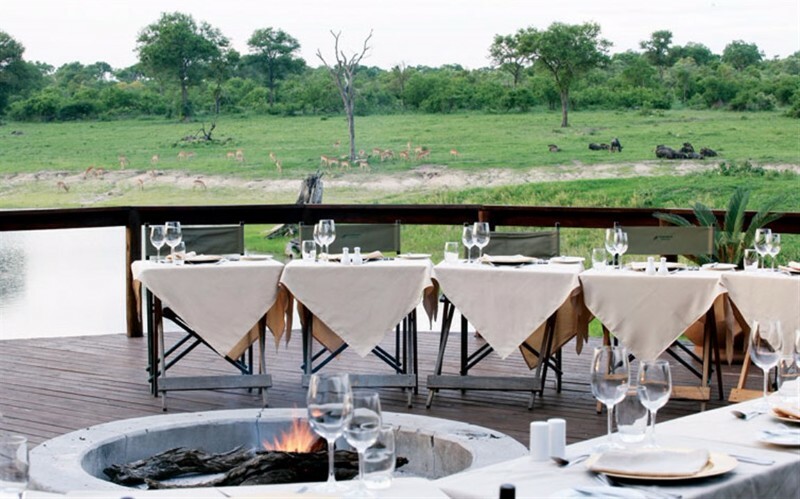 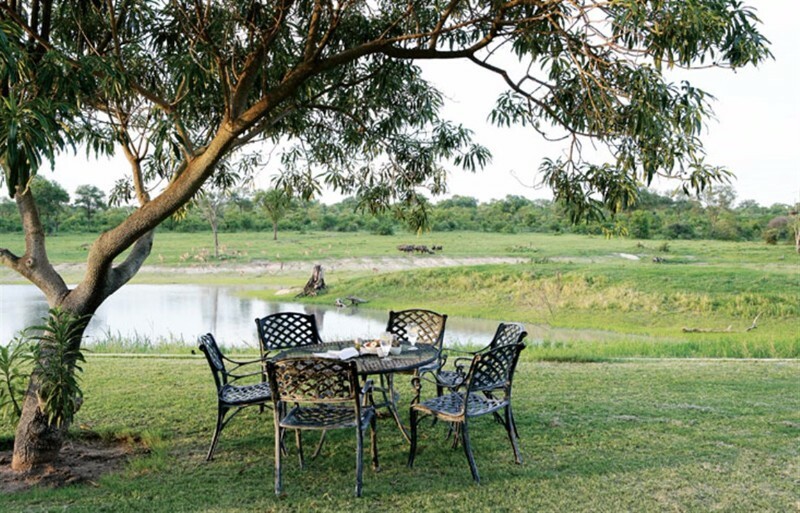 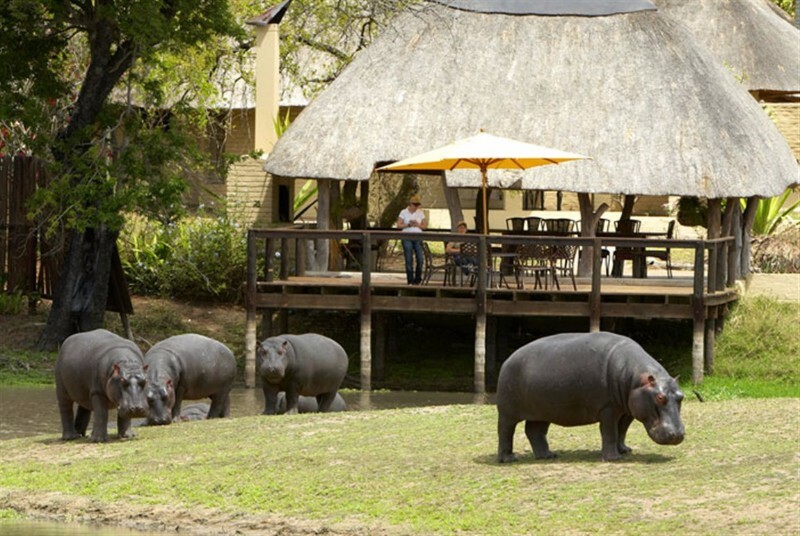 Guests can enjoy an alfresco dining experience in the traditional open-air boma (a brick & grass enclosed dining area), while being serenaded by the sounds of Africa’s creatures. 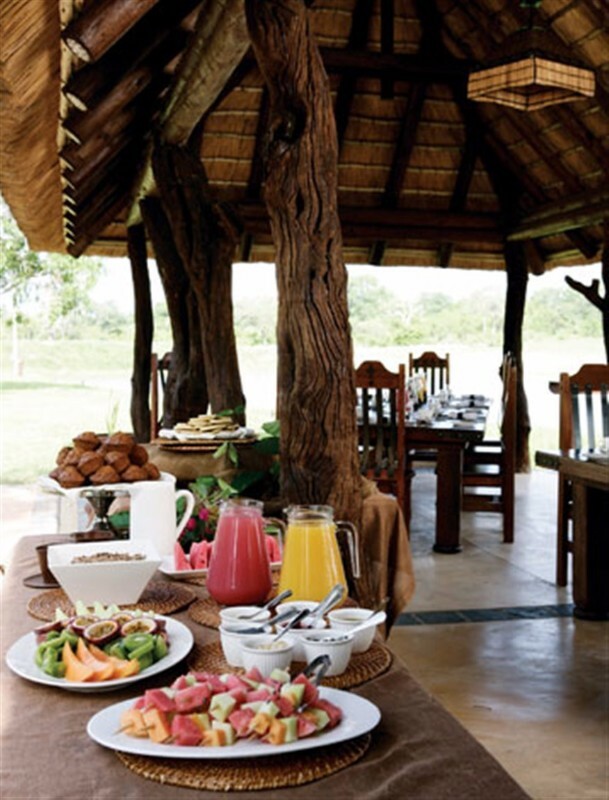 Sumptuous cuisine is the order of the day – click here to view what’s on the menu. 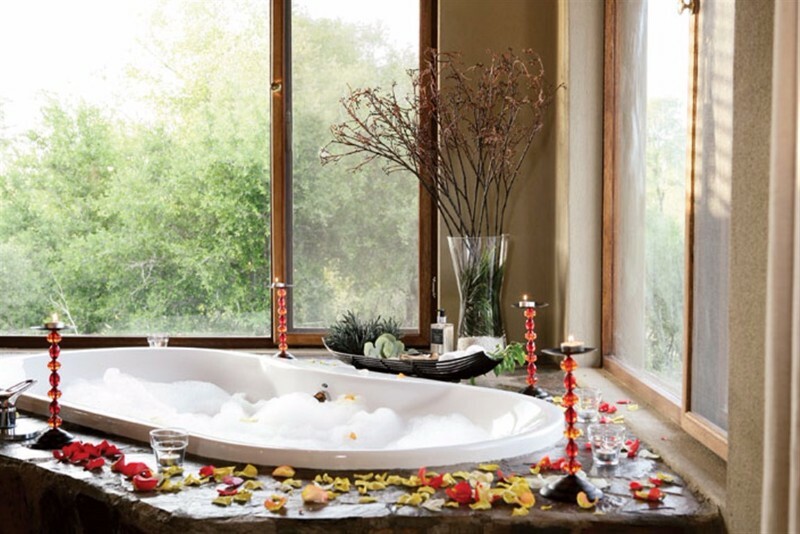 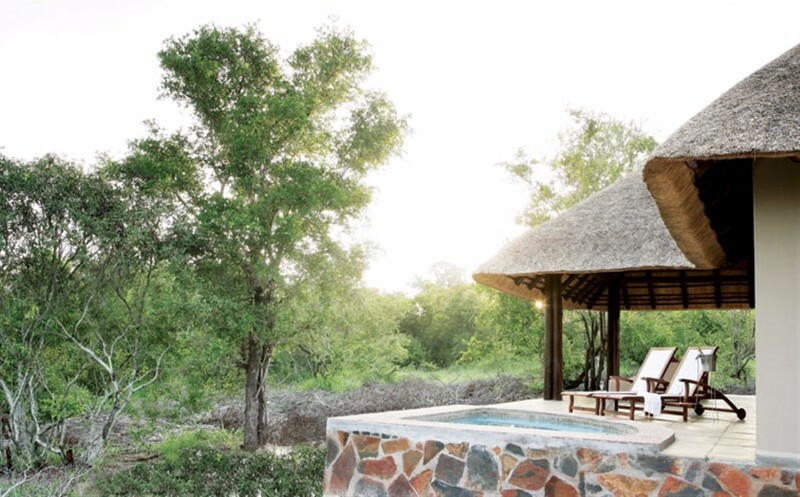 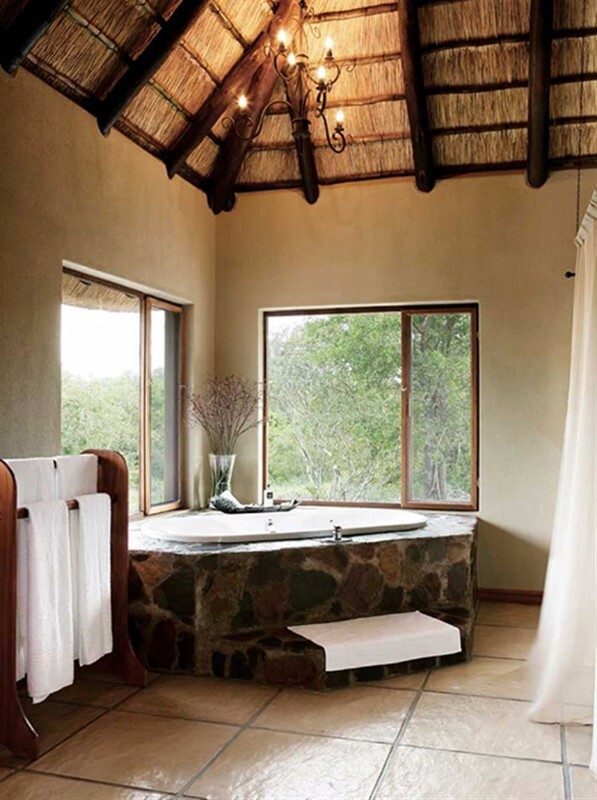 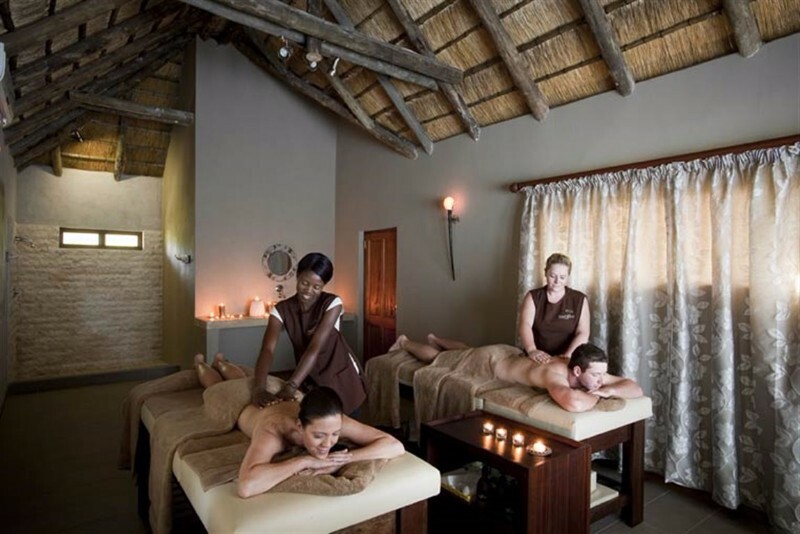 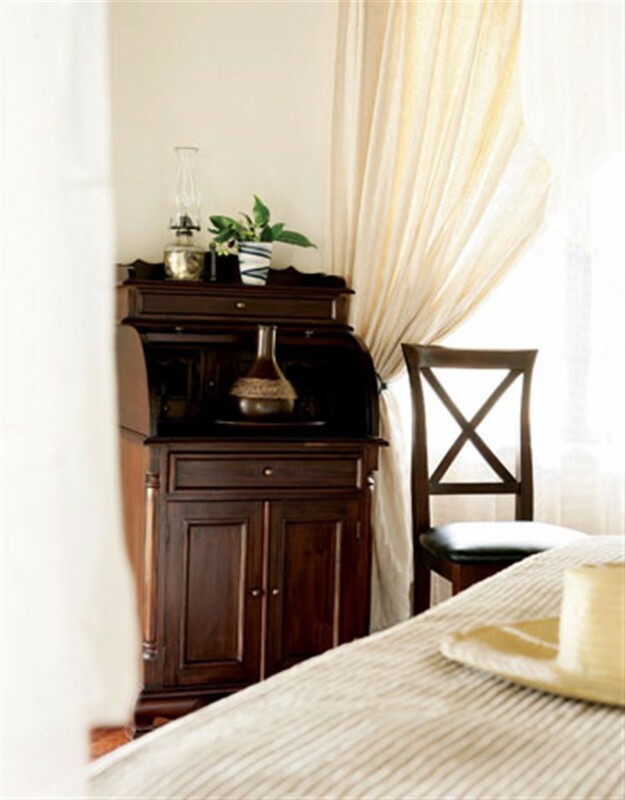 Arathusa’s Safari Spa offers guests a comprehensive spa and wellness experience – indulge in luxurious pampering and relaxation, while answering to the call of the wild. 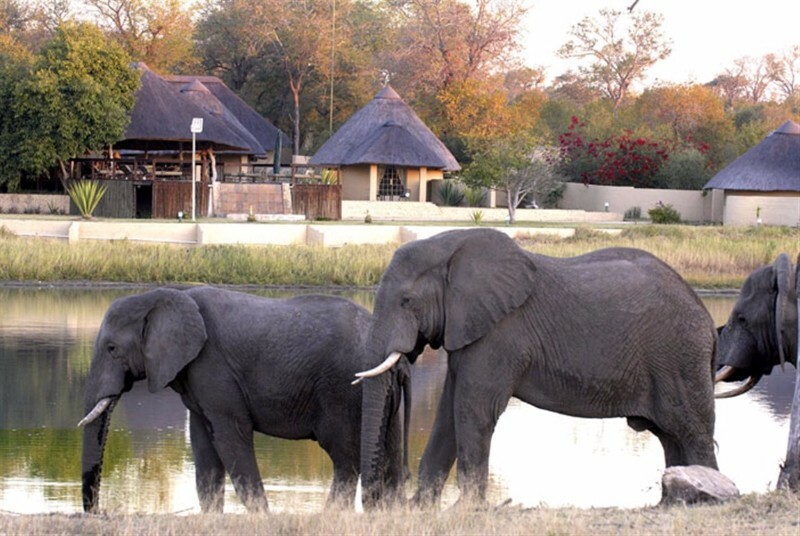 No children under the age of 12 are permitted at Arathusa Safari Lodge. 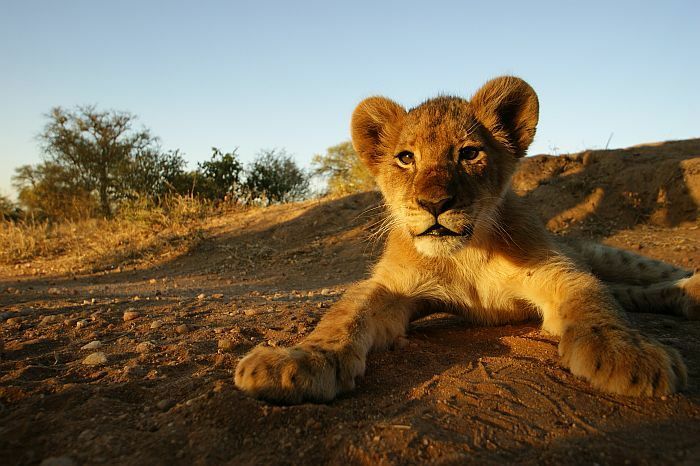 Children over 12 years of age will be charged the full adult rate. 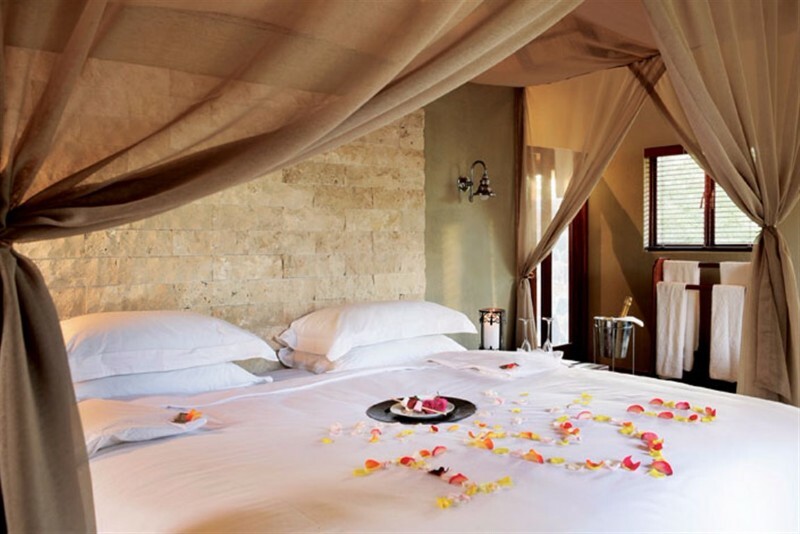 • More than 60 days prior to arrival: 10% of the full accommodation charge. 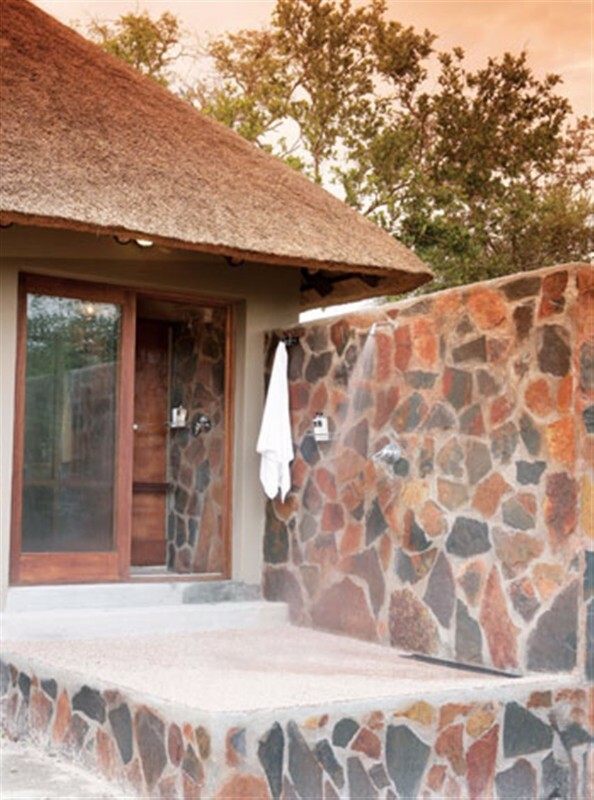 • More than 30 days prior to arrival: 25% of the full accommodation charge. 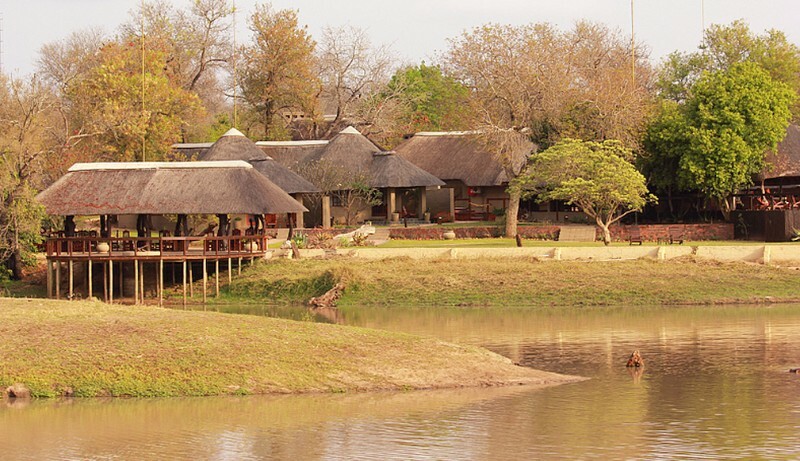 • Less than 30 days prior to arrival: 50% of the full accommodation charge. 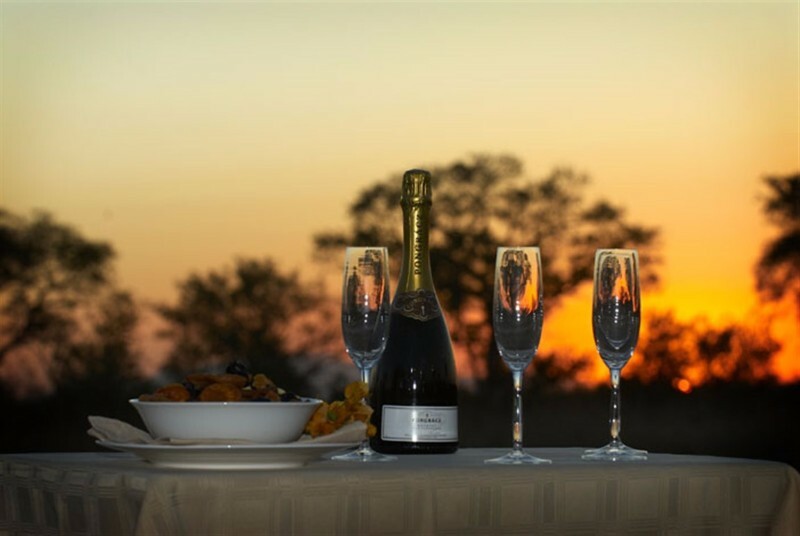 Arathusa Safari Lodge rates are fully inclusive of accommodation, meals, teas & coffees, twice-daily game drives in open safari vehicles, a guided bush walk and wi-fi. 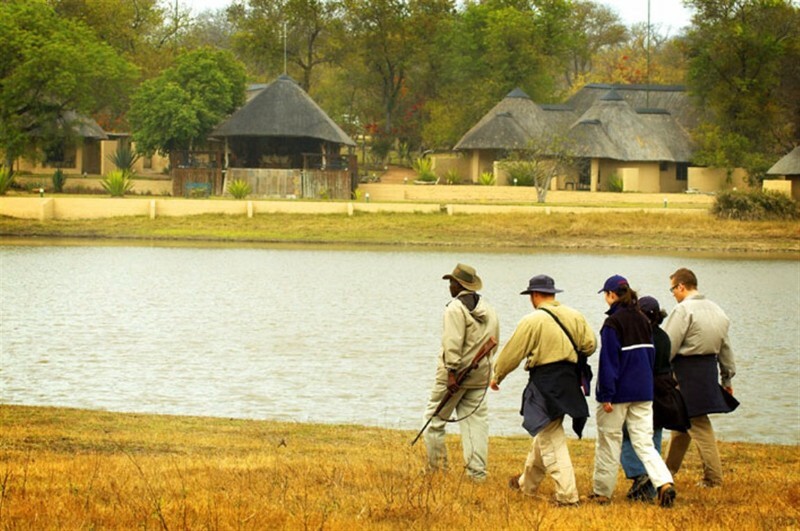 • No children under the age of 12 are permitted at Arathusa Safari Lodge. 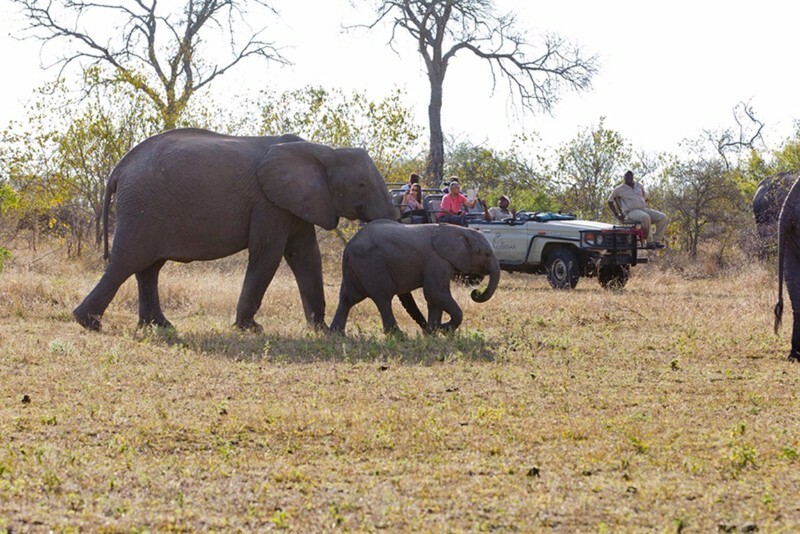 Children over 12 years of age will be charged the full adult rate. 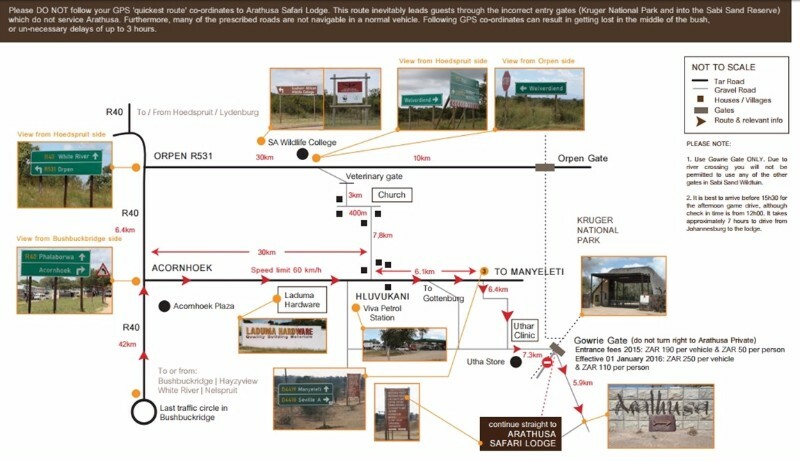 Orpen Gate is approximately 46 km / 1.5 hours by road from Arathusa Safari Lodge. 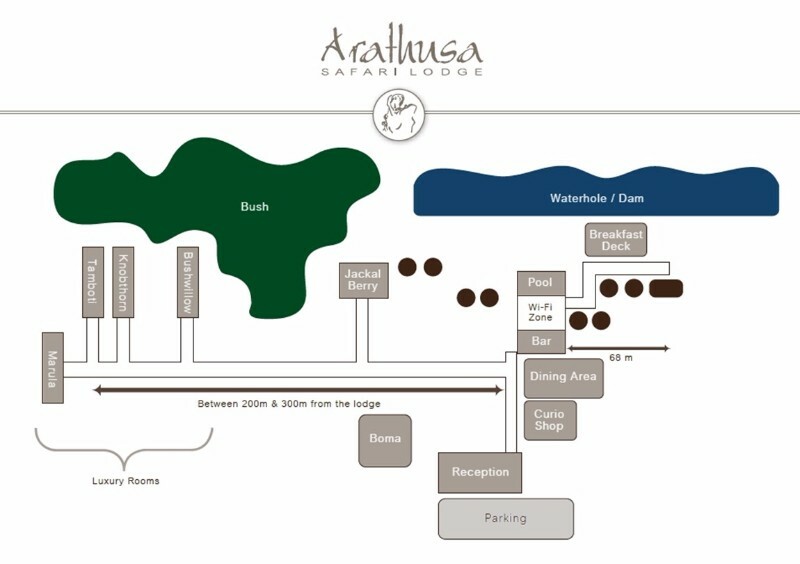 Please DO NOT follow your GPS ‘quickest route’ co-ordinates to Arathusa Safari Lodge. 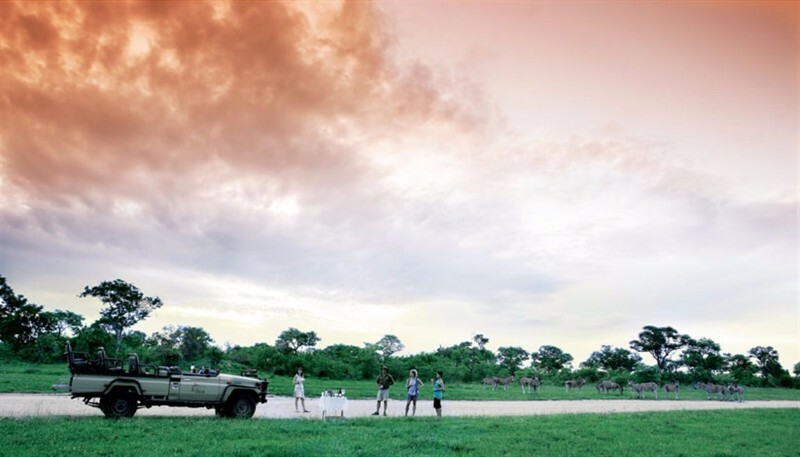 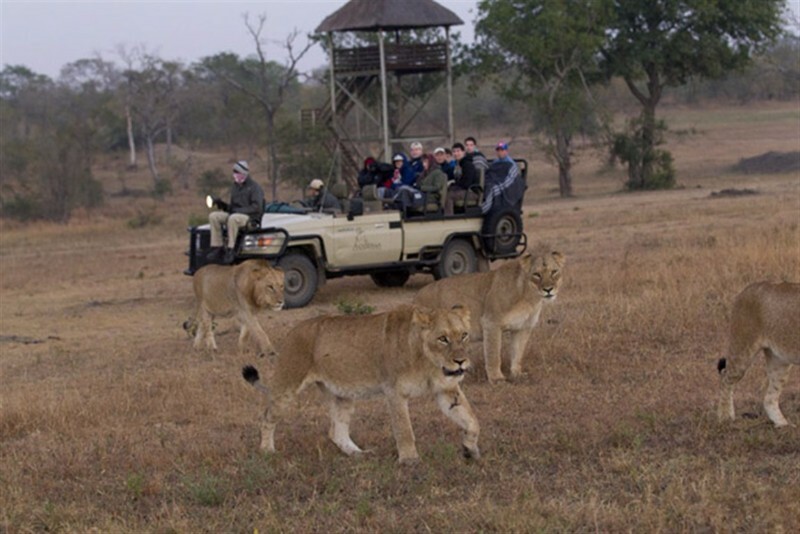 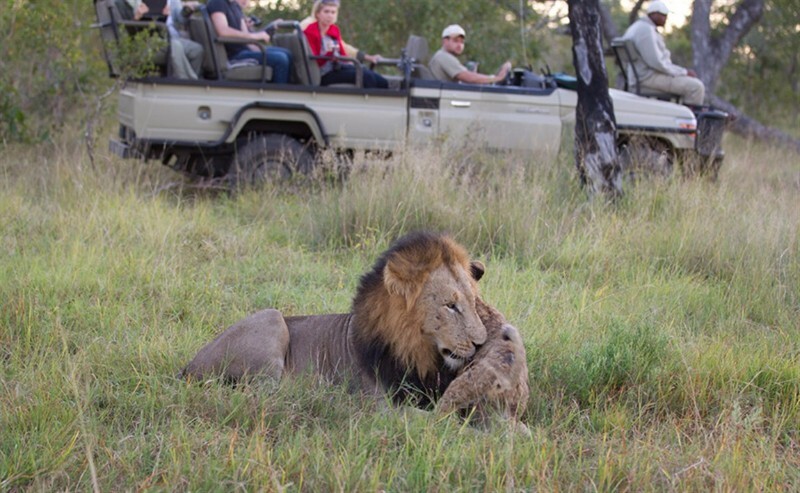 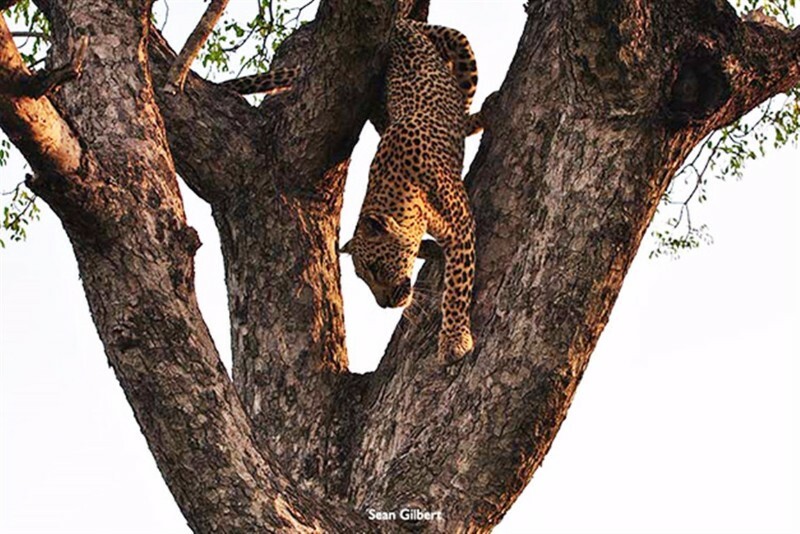 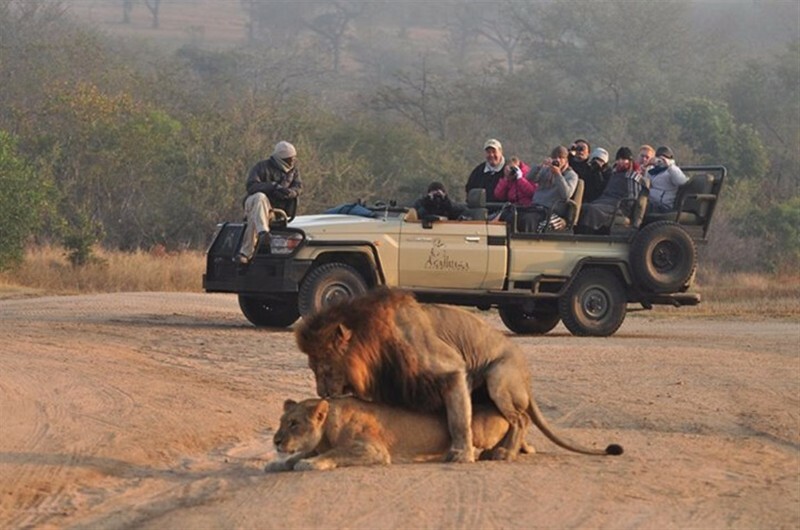 This route inevitably leads guests through the incorrect entry gates (Kruger National Park and into the Sabi Sand Reserve) which do not service Arathusa. 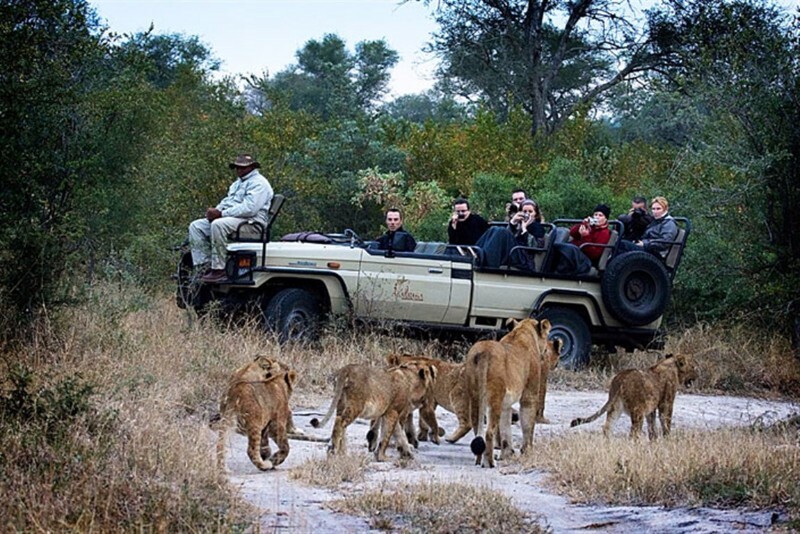 Furthermore, many of the prescribed roads are not navigable in a normal vehicle. 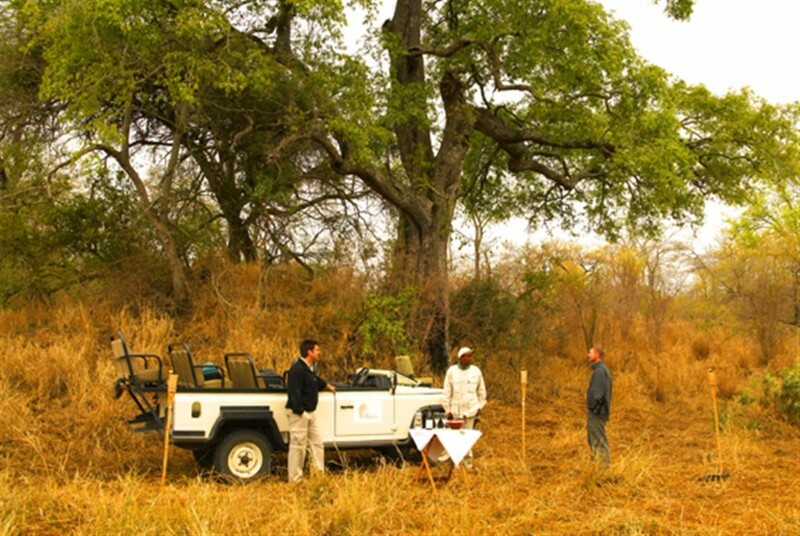 Following GPS co-ordinates can result in getting lost in the middle of the bush, or un-necessary delays of up to 3 hours.